Reed Exhibitions’ games and pop culture live events division ReedPOP has acquired Florida Supercon, an annual convention held in Miami, Florida celebrating comics, superheroes, science fiction, anime, cartoons, video games, wrestling and all things pop culture. The terms of the transaction were not disclosed. Since the launch of the sold-out New York Comic Con in 2006, ReedPOP has sought to produce exceptional experiences for passionate audiences and help grow the industries surrounding those passions. Over the past two years, ReedPOP launched its first comic con in Africa, Comic Con Africa, and an all-new U.S. show, Keystone Comic Con in Philadelphia, expanding the portfolio to nearly 40 fan conventions around the world. 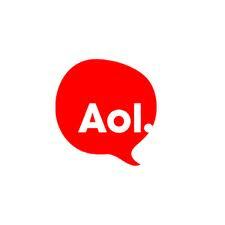 Townsquare Media Group is to acquire AOL Music assets The Boot, The BoomBox and NoiseCreep as well as comic book website ComicsAlliance from AOL Inc. The new digital properties will join Townsquare Media Group’s national digital business, a portfolio of music and entertainment websites. Terms of the deal were not disclosed.